Today is the 29th Anniversary of the People’s Power Revolution (also known as EDSA I locally, there are EDSA II and III revolutions as well) in the Philippines. The government decided to close a significant and centrally located part of EDSA (it is the main and busiest thoroughfare in Metro Manila) to celebrate the anniversary. Being a regular weekday, many people going to work were stuck in traffic for hours. The pile up of cars became similar to the traffic jam scene in World War Z or that in The Dark Knight, whichever was worse. 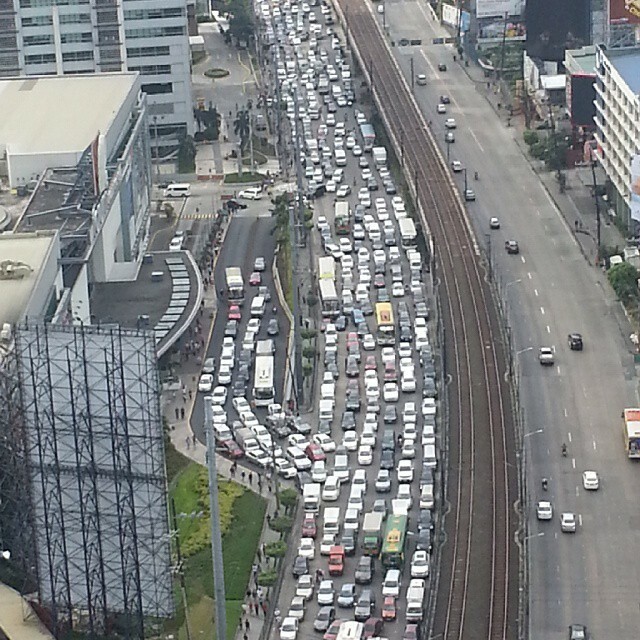 To celebrate the anniversary of the EDSA I revolution, somebody had the bright idea of closing up a significant stretch of EDSA – on a busy workday! EDSA or Epifanio delos Santos Avenue, is Metro Manila’s main and busiest highway. For some reason, the celebrations had to take place in EDSA itself, is there a re-enactment of some sort? I had work today. Just about two blocks from my house, vehicles were already crammed motionless in a tunnel. Drivers were honking in vain, a cry for help perhaps to the traffic enforcers who were overwhelmed themselves. I was half expecting a group of Zombies to emerge from the back of the traffic jam. Government officials announced the extent of road closures just yesterday (read more about the announcement here). They mentioned alternate routes – which were quickly overwhelmed with vehicles as expected. Today’s outcome should not be a surprise to government officials. In the 2015 traffic data rankings from numbeo.com, Manila has the 12th worst vehicular traffic in the world. Read more about the numbeo traffic rankings here. “Maganda na siguro ang problema na binabanggit na ma-trapik sa EDSA, tama po yan, dahil marami ang nasa kalsada, buhay na buhay ang ating economiya kaysa naman walang trapik sa EDSAa dahil wala ng makabili ng gasolina na patakbuhin ang kanyang sasakyan (The heavy traffic on EDSA is a better problem, that’s right, because many vehicles are on the road because the economy is doing well. 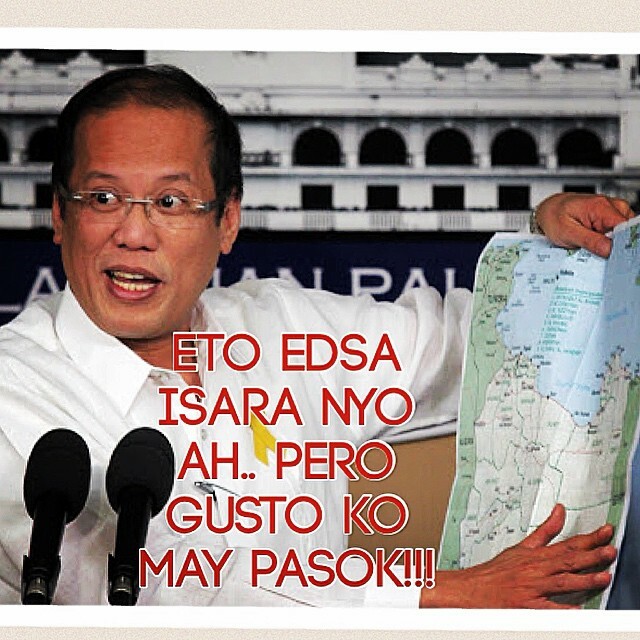 Having no traffic on EDSA, on the other hand, means nobody can buy gasoline for their cars),” the President said. In my opinion, traffic is not a sign of a good economy but a sign of poor government planning. Traffic jams also lead to many hours of lost productivity. I’m sure many meetings, projects, deals, deliveries and many other worthwhile business activities had to be cancelled today because of the horrendous traffic jam. The President might as well had declared a non-working holiday (thankfully there were no schools today or children would have to endure the traffic jam as well) because this workday pretty much became useless for many people. No, Zombies didn’t cause the massive traffic jam today. At least that would have been a more acceptable excuse. I wonder why Feb. 25 was not declared as a holiday. Early in the morning, I was confused why is there an exodus of vehicles and pedestrians along EDSA. Poor planning.